If you have a great piece of furniture that has seen better days, don’t throw it out—re-upholster it! Perhaps you have a beautiful family heirloom that you would love to keep, but the fabric is torn and tattered or just looks worn and dated. You would love to keep the beloved piece in the family, but its unkempt appearance detracts from your décor. A custom upholstery job can give that furniture piece a new lease on life. What’s more, you can recover the piece in any fabric you choose, so you will end up with a lovely heirloom piece that complements your home’s interior design. At Speedwell Design Center, we have everything you need to complete a beautiful custom upholstery job at our showroom in Morristown, NJ. Our fabric department stocks an expansive array of designer fabrics and trims, and our talented designers can help you choose the textile combination that will create just the style you are looking for. 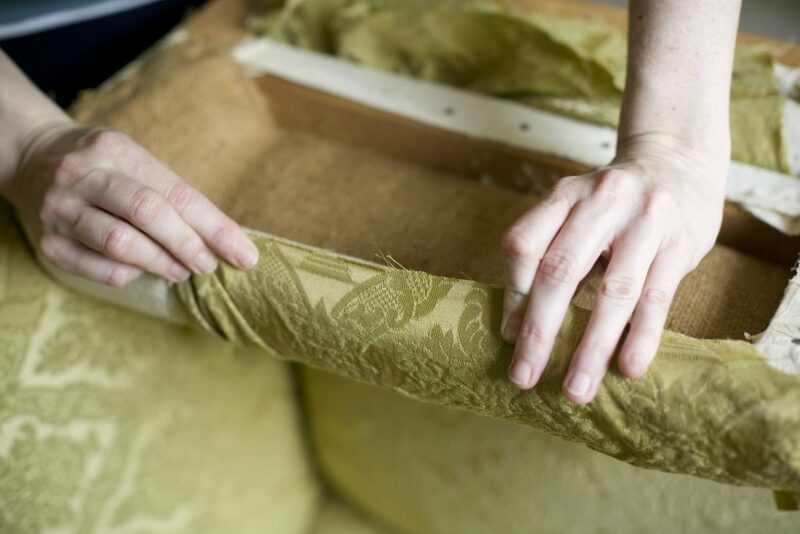 We offer our clients a full-service experience, with pick-up and delivery of your upholstered furniture pieces. Custom Upholstery does so much more for your home than breathe new life into older furniture—you can use upholstered pieces anywhere in your home to add a dash of color and warmth. Some of the many options for custom upholstery include headboards, decorative pillows, bench and window seat cushions, bedding, table skirts, runners and toppers, shower curtains, and so much more. If you are not sure where to start, a consultation with one of our design specialists can help you conceptualize the possibilities. Speedwell Design Center has been providing quality products and services to the community for over 80 years now, and our reputation for integrity and excellence speaks for itself. So, come on into our showroom today and speak with one of our experts about your custom upholstery project!